Since retiring my family’s cooking and food blog, I had all of this food related content sitting around doing nothing. I pulled our best and most popular stuff and bundled it all up together into a PLR package for you here. Our recipes and photos for you to use as you’d like. 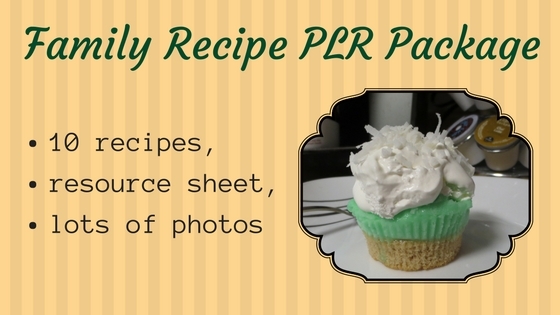 Yes, I’m really giving you PLR rights to my grandmother’s recipe. You’ll receive a zip file with folders inside, each folder has the recipe posts and their accompanying photographs. What is PLR? The short answer is it’s content that you have private label rights to use, meaning you can claim authorship, edit it, and use it like you would most other articles. Where can I use this content? On your blog, in your newsletter, in an ebook or short report (free or paid), pretty much anywhere. The only places you can’t use it are where it would break the rules of the platform, such as Amazon Kindle or other places where they are seeking 100% unique content. Can I edit the content? Absolutely. Edit, add your own voice, add additional information, expand a thought. How many other people can buy this content? This particular package of articles is limited to 300 copies. The cart will automatically close once those have been sold. Who wrote these? My family and I originally wrote these recipes for our food blog, which has been retired and is no longer online. All photos included in the package were taken by me personally.